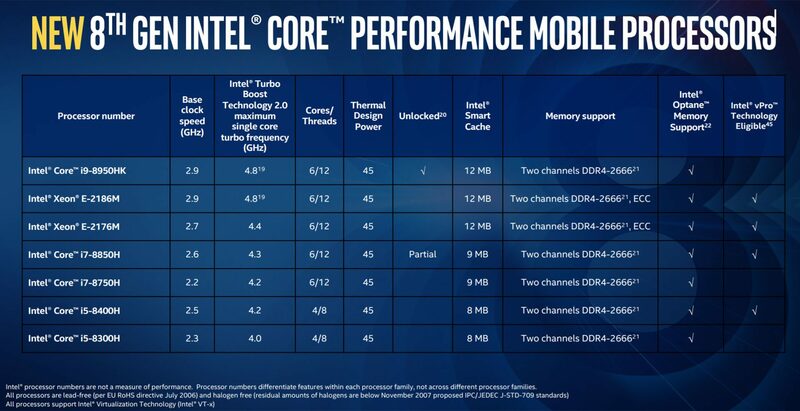 As of April 3rd 2018 there’s a new series of Performance Mobile Processors meant for multimedia, gaming and workstation laptops, part of the Intel Coffee Lake line. This includes a multitude of SKUs, with the most important ones being the Core i5-8300H (quad-core), Core i7-8750H (six-core) and the Core i9-8950HK (six-core). 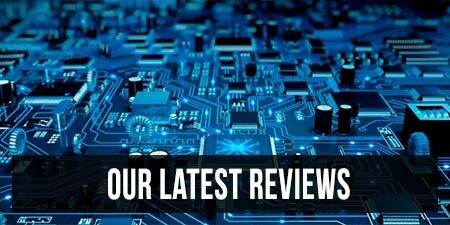 In this article we’re discussing about the entry-level option in the Core H Coffee Lake series, the Core i5-8300H CPU. We’ll talk about the new architecture, what’s changed from its KabyLake Core i5-7300HQ predecessor and we’ll have a look at some benchmarks and how this i5 compares to the existing KabyLake and KabyLake-R options on the market. For starters, the Core i5-8300H is a quad-core processor with HyperThreading and TurboBoost, part of the Intel Coffee Lake H family of high-performance mobile processors and built on the revised 14++ nm lithography. The Cores are clocked at 2.3 GHz, but they can Turbo up to 4.0 GHz (Max Single Core Turbo). Other technical details include a max TDP of 45W, 8 MB of L3 Cache and support for up to 2666 MHz dual-channel DDR4 memory. 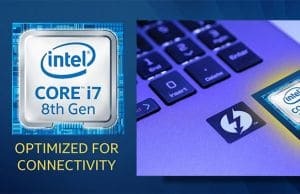 Coffee Lake also introduces the new Intel 300 chipset, with support for enhanced audio and IO, including faster wireless connectivity, better optimized TB3 support and configurations with Intel Optane memory, albeit I expect these to be mostly implemented on the higher-end SKUs based on the i7 and i9 CPUs. Have a look at the table below for a quicker look at the i5-8300H’s main specs and how it compares to the mainstream KabyLake i5 and i7 alternatives. 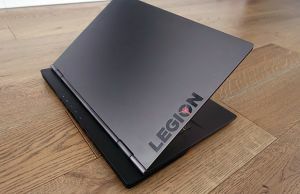 We also added the Core U i7-8550U in here, as we expect the two to cross paths in the lower tiers of multimedia and everyday notebook segments. We didn’t however include the new Core i7-8750H CPU in this comparison because we’ve talked about it in a separate article. Compared to the i5-7300HQ, the Coffee Lake mainstream i5 gets HyperThreading and thus twice the amount of working threads. The cores have a slightly lower Base Clock Speed of 2.3 GHz, but can reach higher Turbo frequencies and were able to stably run at 3.8-3.9 GHz in benchmarks that put a 100% load on the CPU on our test units (can differ on each implementation). The i5-8300H also gets more L3 cache memory (8 vs 6 MB of RAM) and support for faster DDR4 memory. All these translate in superior performance in benchmarks, as you’ll see in the next section of this article, as well as in real-life multi-thread loads. The i5-8300H results above are based on the two different mainstream laptops (with 16 GB of DDR4-2666 MHz RAM and SATA SSD storage) we’ve tested so far (as of April 3rd 2018) and they can differ from implementation to implementation. Our two test units worked well and didn’t suffer from throttling or other sorts of performance issues. The i7-7700HQ, i5-7300HQ and i7-8550U results are based on the averages from notebookcheck.net, as they have a larger pool of reviewed units. According to these results, the i5-8300H is 5-10% faster than the i7-7700HQ CPU in most single and multi-core loads, mainly due to its ability to maintain higher Turbo Boost frequencies. Compared to the KabyLake i5-7300HQ it’s meant to replace, the i5-8300H is significantly faster across the board. 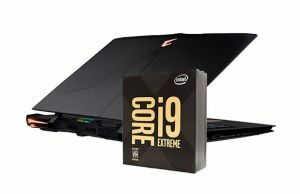 Some of you might also want to know how the i5-8300H fares against the i7-8550U processor, as I expect the two to power some full-size laptops in the $800-$1000 price range. 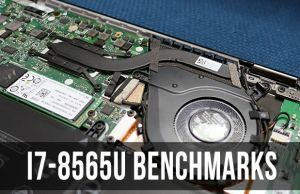 They aren’t far apart in single-core benchmarks, as both are capable of reaching Turbo Speeds of up to 4.0 GHz, but the 15W CPU (i7-8550U) clocks down fast with continuous multi-core loads, and as a result the 45W (i5-8300H) processor scores much higher in this case. Thus, if you’re looking for performance in applications that put a constant stress on the CPU (video editing, text editing, programming/engineering software, even gaming to some extent), the i5-8300H is the option for you. On the other hand, if you’re after a balanced everyday computer able to handle most tasks well, while running cooler and for a longer time on battery, a configuration based on the i7-8550U or even the i5-8250U will make more sense for you. 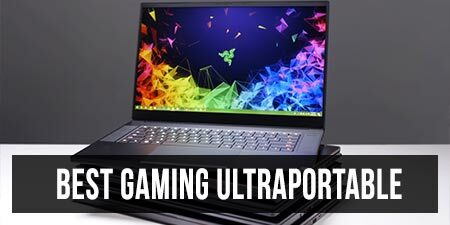 On top of that, if performance is what you’re after, your money would be better spent on a 6-core 12-thread i7-8750U motorized computer anyway, which we’re talking in depth about in this dedicated article. All in all, despite being the entry-level option in the Intel Coffee Lake line of performance mobile processors, the Core i5-8300H is a very capable CPU that matches and even outmatches in most cases last year’s mainstream Core H CPU, the KabyLake i7-7700HQ. 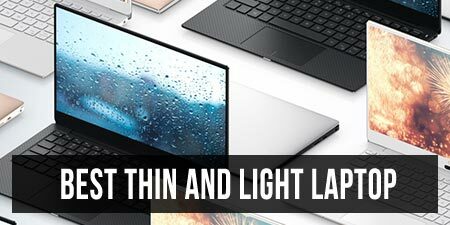 I expect it to power mid-range multimedia laptops and entry-level gaming notebooks in 2018 and early into 2019, as an excellent option for those of you on a tighter budget who aren’t willing to shove the extra $150+ for the i7 or just don’t need the extra performance provided by the 6-core Coffee Lake option. What performance we can expect with 4 core turbo boost? In modern multi core games. 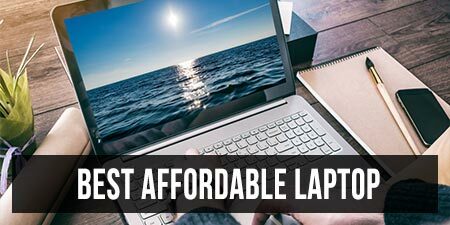 In budget friendly laptops like Asus TUF FX504 or Dell G3? Can it run stable at least 4 x 3700Hz? Can it be fixed to 4 x 3900Hz with some sophisticated cooling solution like cooling pad? Asus TUF FX 504 is power limited, the CPU never reaches max frequency, the Dell G3 does reach higher frequencies but at the cost of 100 degrees C on the CPU. A cooling pad will not be enough to reach higher clocks, the TUF FX 504 with a cooling pad and an undervolt only reaches about 2.7GHz on all 4 cores before it power limits itself to 2.3 GHz base clock at 70 degrees C on the CPU. You will need a vacuum fan cooler that ejects the excess hot air quicker. They attach at the main exhaust grill. Much more effective than the cooling pads (although a pad that allows ventelayion cannot hurt; will help hold the vacuum coolers also. I have a dell g5 5587 and the CPU reaches 100 degrees C while gaming. I had to turn off turbo boost to keep it around 70 degrees C. I am not sure if that is even normal. True that but…I did a little tweak on my asus tuf i5 8300h, now it goes as much as 51w tpd(short peaks according to msi afterburner) on prime 95 plus need for speed opened then of course… throttles, other wise just gaming runnin an older cpu hungry need for speed stays about 3.8ghz 3.9ghz (24-28w) on 4 cores and about 79-86 Celsius constantly for hours and hours-sure bootom of laptop is warm/hot on touch. Here is the trick: I removed 2-1 pipe heatsink, removed all original paste, placed 2mm silicone pad (can be 1mm) on heatsink extenions (to coils and gpu ram chips) and graphite pad on gpu&cpu chip- make sure graphite pad is larger than chip size and not touch any circuitry and folded because it helps good contact with heatsink as heatsink is not perfectly aligned/well designed. plus as bonus i removed fans and adjusted/aligned with heatsink grill so that fan fully blows air through grill. hope you fell me sorry for poor english. Before this I could barely see 20w tpd according to msiafterburner, now can go as much as 35w and runs like charm (sure cpu temp is high 80+) and reliable. I object to your use of the word "motorized". My laptop acer predator helios 300 come with i5 8300h gtx 1060 6gb .Now my ram just 4gb brand sk hynix 2400mhz. I would like to add 8gb . Can i chg with ram 2666mhz ? 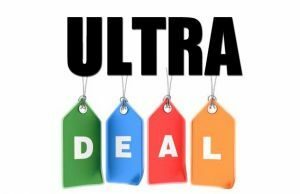 With the 4+ core Windows licensing, that 6-core i7 becomes a $300+ upgrade in most cases.